Media today often recognizes the “everyday heroes” in our communities. These heroes usually include firefighters, police officers, healthcare professionals, and the like who spend their lives making others’ lives better. One group of selfless individuals that often goes unrecognized is family caregivers. 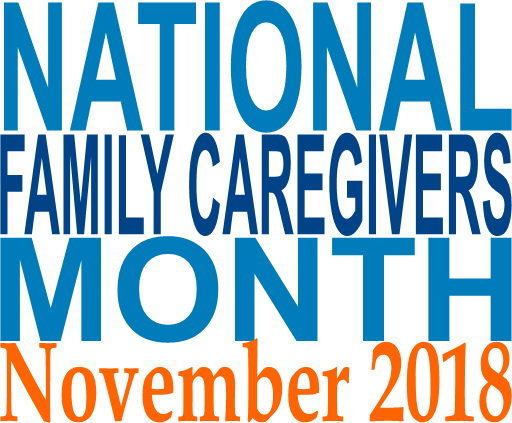 Nearly 44 million Americans every year assist their loved ones by providing basic care and needs, and the month of November being National Family Caregivers Month gives us the opportunity to put a spotlight on these individuals. “Caregivers need to give themselves a break, not only for their own good, but to be a better caregiver too,” explains Bonnie. This belief is why she’s so passionate about helping caregivers navigate all of the resources available to them. “I’ve seen people like deer in headlights when I show them all the resources there are out there,” she says, “which is why I think it’s best for people to come to us. These websites aren’t easy to navigate at all. We’ll help you ask for the services that make sense for you.” She highlights many services to me, and I notice that the target of these programs is not just the one being cared for, but also the caregivers themselves. For example, the Home Help program offered through the Michigan Department of Health and Human Services is designed to provide care in order to take some of the weight off of the caregiver’s shoulders. Respite camps offer this same assistance, giving caregivers time to focus on their own lives while ensuring quality care for their loved one. If you’re not a family caregiver, you may be wondering what you can do or how this is relevant to you. Bonnie suggests, “families need to be supportive and understanding. We really are doing our best, but sometimes it’s hard to make plans and be on time. It’s not that we don’t want to, it’s just one of the sacrifices we need to make. So having that understanding really does help.” Being supportive doesn’t just mean offering to help out, it can take other forms as well. It could mean offering to come over instead of trying to go out, being understanding if they’re late for plans, or allowing them to vent their frustrations to you without judgement. For those of you who are caregivers, we admire your selfless everyday heroism and want to help you navigate the services available for you. It is our sincere mission to help you and your loved one get the care and support you deserve. We invite you to reach out to Bonnie Miller by email at Bonnie.M@dakc.us or by phone at 616-323-2217. This is an excellent article!!! I know Bonnie is one of my heroes, for sure. Very well written. I recognized myself as one of the deer in the headlights, circa 2014! I am so proud of you. You are an accent for others. You live what you offer. God has blessed you fully. From a young woman who gave birth to a special needs child. You didn’t sit back and feel sorry for yourself, you jumped in and found help for the best way to address the problems associated with your child. That wasn’t easy in a world that choose not to acknowledgement anyone with special needs. The world has come a long way since then, but as your job can contest to, you are helping others that don’t know what is out there for them. We don’t know what questions to ask or where to find the answer A Big thank you for all you are doing to educate those in need. Love you baby sister.